How Prepared for ICD-10 Are You? Have your employees gone through training on ICD-10? Do you have any of the ICD-10 coding books or ICD-10 software? Are your PM and EHR ICD-10-ready? Have you analyzed your current ICD-9 code usage and translated it to ICD-10 codes? If you answered No to any of these questions, don’t panic. You can get a jump-start by taking advantage of our ICD-10 Code Analysis Report. Our ICD-10 Code Analysis Report enables you to view and analyze exactly what ICD-9 codes you are using right now. Through GEMs integration, you may also gain insight into exactly how many claims are using those ICD-9 codes and what the potential ICD-10 matches might be. It can give you a clearer picture of your readiness. Contact us at 713-333-6000 or by email at info@practiceinsight.net to arrange for an ICD-10 Code Analysis Report. Practice Insight has aligned with many members of the Association of Independent Medical Software Value Added Resellers (AIMSVAR) to support providers with legacy practice management systems seeking to make the transition to ICD-10. Rather than taking on wholesale PM system upgrades, Practice Insight and its AIMSVAR partners are utilizing P.I.’s EDI capabilities to deliver ICD-9 to ICD-10 solutions that ease this financially critical transition for providers. AIMSVAR members represent well over 5,000 healthcare providers, the preponderance of which utilize Practice Insight’s suite of EDI products. Members cite P.I.’s holistic, PM/EMR-vendor agnostic EDI solution as a key advantage in helping providers meet ICD-10 mandates. Simply put, Practice Insight is ready to meet ICD-10 coding requirements. Our applications and processes currently support the ICD-10 procedure and diagnosis codes. Because the ICD-10 code set is implemented by Date of Service, our EDI systems will validate with either ICD-9 or ICD-10 codes, dependent on the Date of Service in each EDI transaction. Practice Insight currently compares submitted claims to several external code sets to check for accuracy of data. Two of these external code sets are Diagnosis codes and Procedure codes, which include the beginning and ending effective date for each code. With the April 1, 2014 delay officially in effect, it is expected all current ICD-9 codes will all use an ending date of September 30, 2015, and ICD-10 codes will use a beginning effective date of October 1, 2015, per the mandated schedule. Practice Insight is committed to ICD-10 readiness within our own systems and internal processes, and we recognize the need to assist our providers with implementation in EDI transactions. Please feel free to contact our Support team at (713) 333-6000 or support@practiceinsight.net. 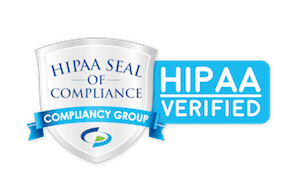 HHS published a Final Rule for Modifications to HIPAA on January 16, 2009 that established a compliance date of October 1, 2013 for ICD-10 coding. On August 10, 2012, HHS published a Final Rule extending the ICD-10 compliance date one year to October 1, 2014. The introduction of an entire new set of diagnosis codes has never been done by the health care industry in the United States, and it affects every aspect of health care including health records, medical research, clinical protocols and medical billing. In 2012, the migration to ANSI Version 5010 electronic claims prepared the way for ICD-10 compliance in medical billing. ICD-10 will allow for more detailed and accurate coding, but beware: it will feature one or two extra digits. ICD-9 codes are 3-5 digits while ICD-10 codes are 3-7 digits. Providers should check with your practice management software vendor or billing vendor and find out when and how they will upgrade your office system. On April 1, 2014, President Obama signed legislation that includes another delay in the ICD-10 deadline, officially restarting the countdown toward compliance with the federally mandated conversion to the ICD-10 diagnostic and procedural codes. It is anticipated the new ICD-10 start date is Oct. 1, 2015, based on a brief statement from the CMS. Now The Countdown to ICD-10 Is No Longer Uncertain. On July 31st, HHS made the Oct. 1, 2015 date official. As anticipated, the announcement was consistent with speculation the date would be moved back by exactly one year from the original Oct. 1, 2014 mandate. Practice Insight Tested ICD-10 Successfully with CMS in 2014. Earlier this year, Practice Insight assisted providers with testing during our special CMS Testing Week. During this week-long process, which took place March 3-7, 2014, Practice Insight participated in End-to-End Testing with all CMS contractors. Testing was conducted throughout this 5-day period. During our testing process, providers could either upload TEST ICD-10 claims to Practice Insight OR use the Practice Insight Duplicate Claim Feature to copy existing claims and convert them to TEST ICD-10 claims. All claims were required to have a Date of Service between 10/01/2013 and 03/03/2014 in order to qualify for testing. Once uploaded or converted, the providers simply set the TEST ICD-10 claims to READY. During the week of CMS testing, Practice Insight batched these TEST ICD-10 claims and sent them to CMS. July 1, 2012 Compliance deadline for 5010. August 2012 CMS announced the finalized rule to delay the original deadline by one year for the implementation of ICD-10 medical coding. Q1-Q3 2013 A&D Phase: EDIinsightSM user features and Dedicated user testing platform. Q4 2013 Begin Testing Phase: begin testing with a Payers and Channel Partners according to readiness. Support provider-initiated testing. Ongoing customer communications. Q3 2014 Awareness of known Payer Issues. Ongoing customer communications. October 1, 2015 Go Live: The ICD-10-CM code set will be used to validate coding for Dates of Service October 1, 2015, and after. Claims with Dates of Service prior to this date will be validated with the ICD-9 code set. Ongoing awareness of Payer Issues.